The Dr. Ram Manohar Lohia Institute of Medical Sciences (RMLIMS) is a super specialty autonomous medical teaching institute established by the State Government of Uttar Pradesh. The Chairperson of the Institute is Mr. Anup Chandra Pandey, Chief Secretary, Govt. of Uttar Pradesh, Vice Chairperson is Dr. Rajneesh Dube, Principal Secretary Medical Education. The current Director of the institute is Prof. A. K. Tripathi. 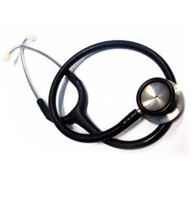 Dr Ram Manohar Lohia Institute of Medical Sciences is centrally located in Vibhuti Khand, Gomti Nagar, Lucknow. The hospital affiliated to the institute offers high end services and treatment in various superspeciality medical disciplines and also offers teaching facilities imparting degrees of D.M., M.Ch., M.D., M.S., Ph.D. as well as paramedical diploma programs. The hospital serves as a referral centre for the population of Lucknow and populations from adjacent districts as well as belt of Eastern U.P. Facilities are extended to all sections of society including the poor and low resource population of this region who require specialised care. The hospital provides comprehensive cancer care with well-developed facilities and expertise in Surgical, Radiation and Medical and Laboratory Oncology as well as Nuclear medicine. Specialities of Cardiology, Cardiothoracic surgery, Gastromedicine, Gastrosurgery, Nephrology, Urology, Neurology and Neurosurgery are also well developed. Speciality clinics including refractory epilepsy, pain clinic, Uro-oncology, dialysis, lithotripsy, Cathlab are functional. Intensive care unit is well developed. 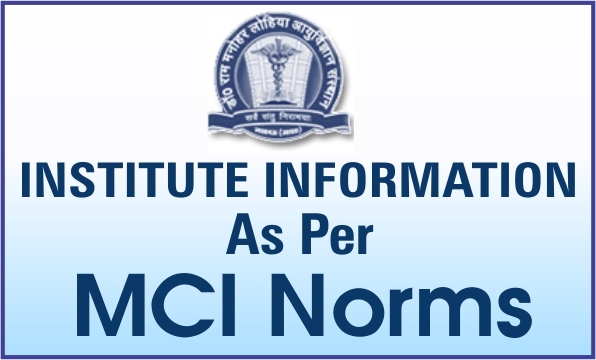 The diagnostic services at the institute are state of art in health care and the Departments of Pathology and Microbiology have been upgraded to State Referral Centre for Laboratory Investigations .Department of Radiology has high-end facilities with a comprehensive 64 slice CT scan, 3 Tesla MRI, BMD, mammography etc. Interventional radiology facilities are also available. The hospital is networked by a all-inclusive web-based HIS system which provides electronic records from registration to discharge. Online registration, bidirectional web-based lab reporting, PACS system for image transfer, e-pharmacy, webmails are available. The faculty of the institute include doctors of expertise and dedication towards progress in health care and patient welfare. The administrative wing comprises of the Director, Finance controller and Engineers in Engineering divisions (Civil, Electrical, Biomedical, Computer programming) and Joint Director Material Management.